Since joining Peters & Peters Michael has dealt with a wide range of business crime matters. He has particular expertise in criminal cartels, economic sanctions, extradition, corruption, mutual legal assistance, private prosecutions and FCA investigations. 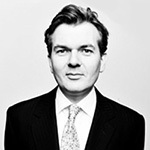 He was recognised as one of the UK’s most innovative lawyers in the 2011 FT Innovative Lawyer Awards and included in the list of the UK’s leading lawyers in Who’s Who Legal. He is ranked annually as a leading lawyer in the leading directories Chambers and Partners and Legal 500. More recently, Michael was recognised in the 2017 The Lawyer ‘Hot 100 ‘ list, for his high profile representations and his key strategic role as new Senior Partner of Peters & Peters. Representing 109 individuals and 12 companies subject to designation by the European Council under targeted measures imposed against Zimbabwe. This is the largest and most complex collective challenge to a sanctions listing ever brought before the European Court. Acting for a former Egyptian Minister and his UK resident wife, challenging their designation by the European Council of Ministers under targeted measures brought against former members of the Egyptian Government. Advising a company accused in a UN investigation report to have breached UN sanctions imposed in relation to Somalia. Advising a UK company in relation to ongoing commercial relationships with an Iranian company listed under both EU and UN sanctions. Advising an individual in relation to a UK investigation for alleging breaching nuclear export controls.